Crew, weary from setting light poles by hand, proud to be helping so many in need. BROWNSVILLE – New Yorkers may not understand the word “y’all”, but they do understand that Southwest Tennessee Electric Membership Corporation crews are there to help. 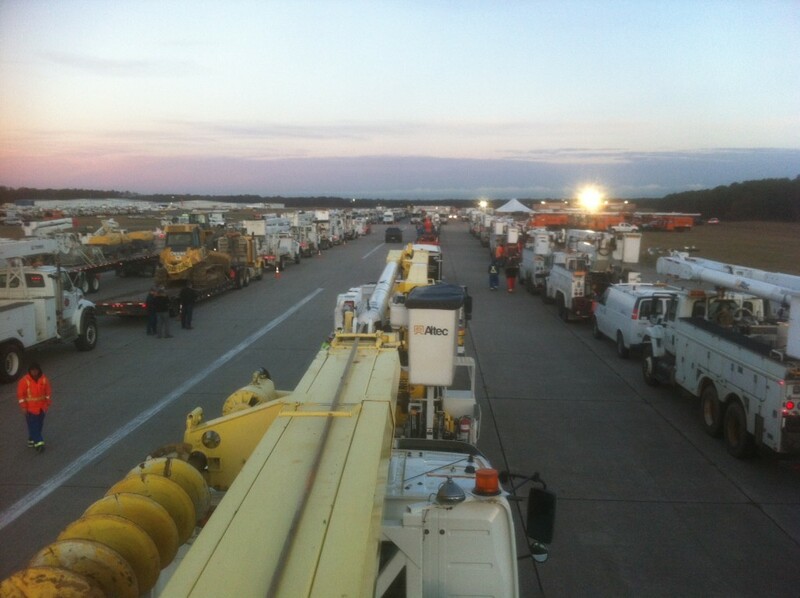 Nine lineworkers from the Brownsville, Tenn., based cooperative are in Bethpage, New York, assisting Long Island Power Authority restore electric service following Hurricane Sandy. The workers were housed in FEMA trailers with no heat or water for the first two days, and later they were moved to a gymnasium. Now that power is beginning to be restored, the crews are staying in a motel. The crew is seeing the challenges faced by residents in the area. With no electricity, most gas stations cannot pump gas from underground tanks. Over the weekend the crew drove into an area to work, and people immediately began to line up at a station to purchase gas, even though there was no electricity. The crew worked all day to restore service to the town, and by that time more than 400 people were in line for gas. A police officer asked if the power would be restored that day or if he should disperse the crowd. STEMC crews assured him that the power would be restored, and it was. The station owner later told them that the 14,000 gallons of gas he had was gone by the next morning. The Southwest Tennessee Electric crew had to wait more than two hours to refuel their vehicles. 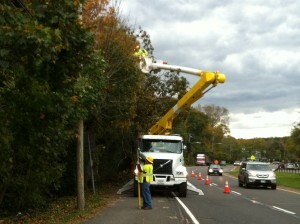 On Sunday the crew restored power to 27,000 people in Glen Cove, New York. As of Monday, Long Island Power Association still has almost 300,000 customers without power. The Southwest Tennessee Electric crew expects to be there through the end of the week. Assistance provided by Southwest Tennessee Electric is arranged through mutual-aid agreements in place between utilities. Southwest Tennessee Electric Membership Corporation is a member-owned, not-for-profit distribution cooperative serving 50,000 homes, businesses and institutions with power in nine West Tennessee counties. The cooperative, headquartered in Brownsville, has offices in Jackson, Covington, Henderson and Munford.